Great composition, marvellous details. Congratulations! 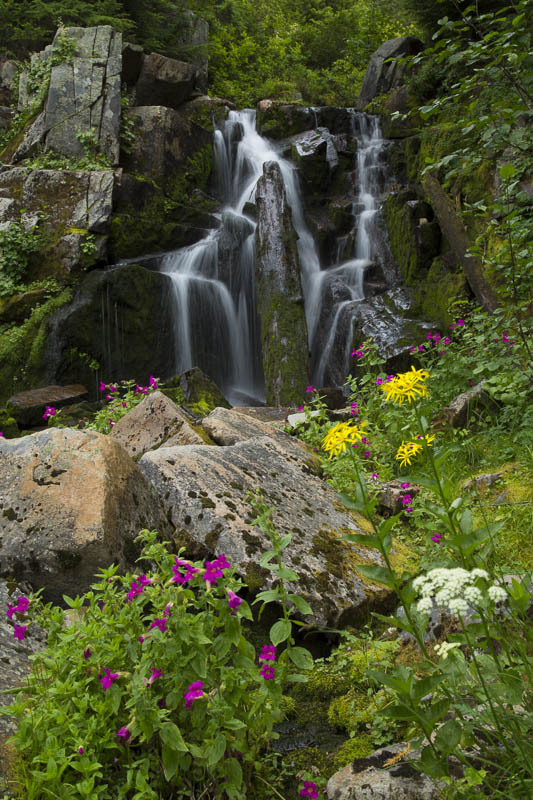 Splendid composition of the small waterfall with the water tenderly caressing the rocks. The flowers make a great foreground, Rich.